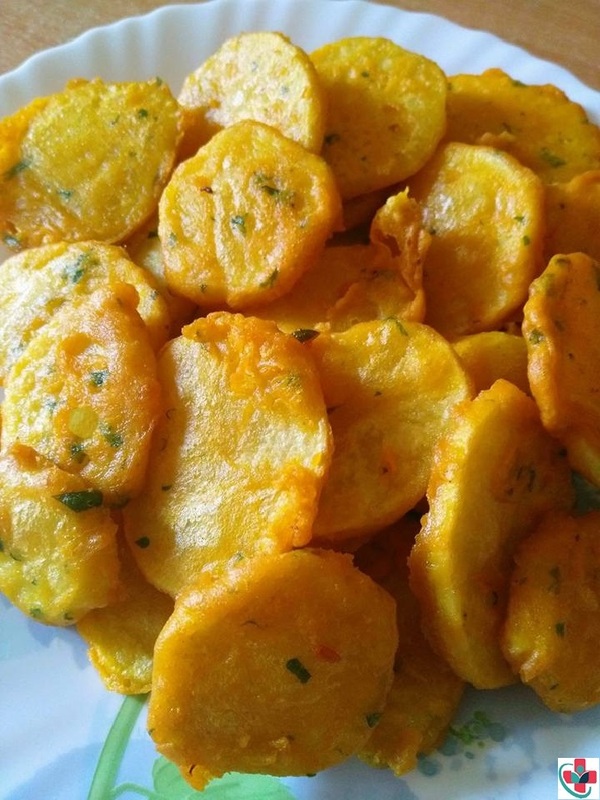 Bhajia’s are an extremely popular snack in East Africa, especially in Kenya. Bhajia’s can generally be made with a wide range of vegetables. My version includes the use of rice to make them super crispy. If you’d like to omit the rice, mix all the ingredients with the sliced potatoes without using any water and fry. Grind the soaked rice with ¹/₂ cup water into a very fine but thick liquid. Add the gram flour, ginger-garlic paste, green chilies, lemon, and salt and blend for 1-2 minutes until all the ingredients are incorporated. Deep fry for 2-3 minutes or until crispy. Place onto a paper towel to get rid of any excess oil and serve.